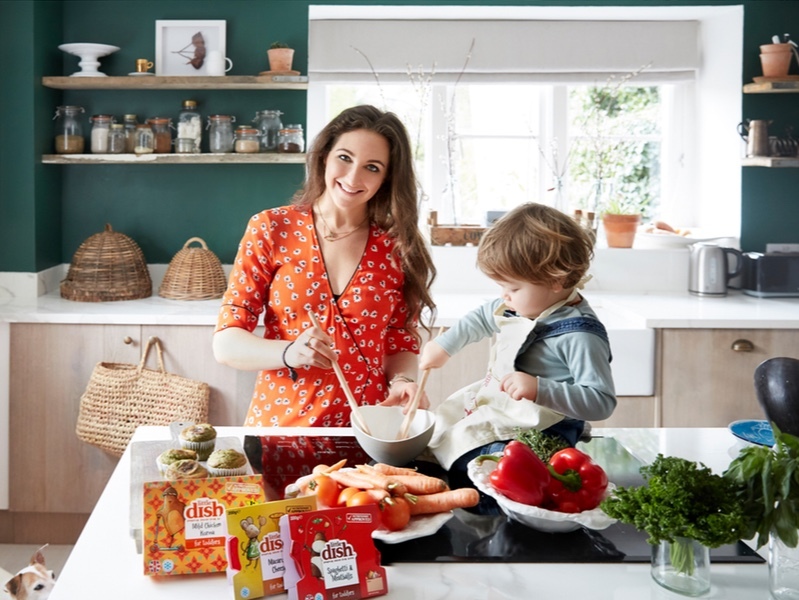 Little Dish have teamed up with Natasha Corrett to bring you delicious and nutritious toddler meals. When it comes to feeding little ones, we all need fresh inspiration from time-to-time. 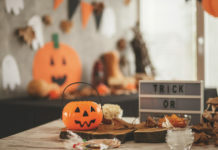 That’s why Little Dish – the pioneers of fresh food for toddlers – have teamed up with the brilliant healthy food writer, Natasha Corrett, to bring you some delicious, nourishing recipes to brighten up mini mealtimes. 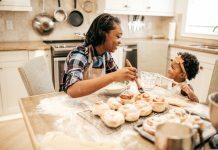 Natasha Corrett is a best-selling cookbook author, Mum to one-year-old Rudy and founder of recipe sharing website Mumsknowbest.com. She’s brilliant at making exciting meals and snacks, which pack in lots of fresh veggies and interesting textures, whilst still appealing to toddler taste buds. 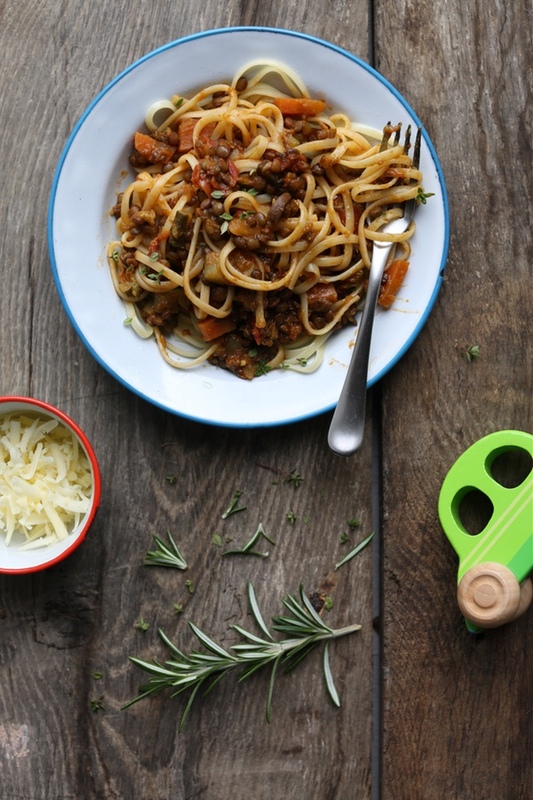 This delicious Lentil Bolognese is packed with protein and mild spices – like cumin, turmeric and coriander – it’s a wonderful way to gently introduce little ones to exciting new tastes. Containing no less than nine different veggies it’s also a great way to use up leftover veg lurking at the back of the fridge. Visit littledish.co.uk/gb/recipes to find out how. 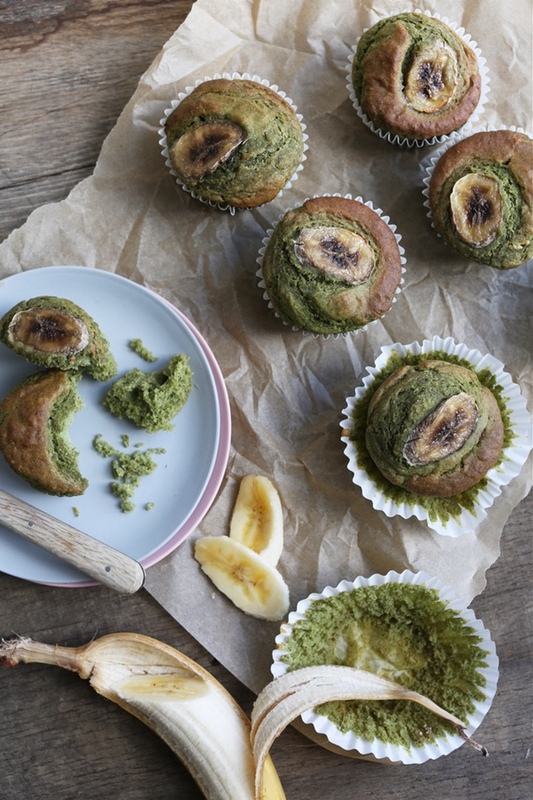 If you’re looking for a nutrition-packed brekkie, post nursery snack or a quick-and-easy recipe to get little ones hands-on in the kitchen, then these Banana & Spinach Muffins are ideal. We love to bake a batch and pop extras in the freezer (assuming there are any!). Visit littledish.co.uk/gb/recipes to find out how. This is our kind of fridge! 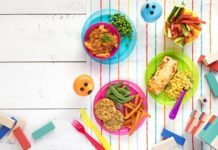 Packed with loads of delicious fruit and veggies to inspire us to eat the rainbow and, of course, Little Dish toddler meals for when you need a nutritious and delicious meal, fast. Once your toddler is enjoying solid food, Little Dish fresh toddler meals introduce them to a wonderful new world! Found in the fridge, because they’re free from additives and preservatives, Little Dish meals allow little ones to experience the exciting tastes and textures of real food. 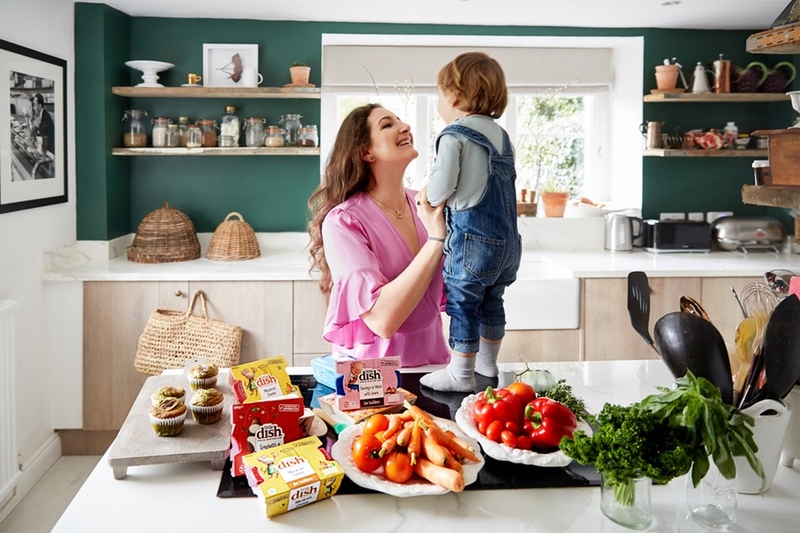 Little Dish nutritionist, Lucy Jones MRES BSc Hons RD MBDA, makes sure every recipe is a complete, nutritionally balanced meal for your toddler with the right calories, protein, fibre and healthy fats they need to thrive. And they never contain added salt or sugar. Ready in minutes, Little Dish meals make it quick and easy to give your child nutritious, fresh food that tastes as good as homemade. Little Dish meals can be found in the chilled aisle of your local supermarket, priced from £2.30 (RRP). For all of Natasha’s exclusive recipes, and more information on Little Dish, head to littledish.co.uk or follow @LittleDishUK on Instagram.